With age, not only our skin changes, but also our hair. Gray hair is not the only sign of hair aging. If with age the skin becomes prone to wrinkles, sagging, the signs of aging hair are brittleness, weakness and dull color. Hair loses its elasticity, becomes thinner. Naturally, the structure of your hair when you are 20 and 50 years old is quite different, that is why the hair care should also vary with the age. To maintain the beauty of your hair as long as possible, it’s helpful to listen to the advice of experts and follow some rules. After 40, even long before menopause, female body begins to produce less estrogen – a hormone that has a positive impact, including on the life cycle of hair. The hair growth slows down and thus the physiological hair loss is not balanced out by sufficient growth of new hair. Gradually, hair gets thinner, its brittleness increases, and the appearance gets worse. Supplementation, which contain cysteine and tyrosine – substances that limit the negative impact on the hair and strengthens their capillary fiber can extend the natural balance and protect hair from age-related changes. If the loss is focal in nature, you will not be able to deal with it without the help of a dermatologist and a specialist treatment. The next type of hair age-related changes is very similar to the processes occurring in the skin. With age, the number of substances that are gluing, “cementing” the flakes of hair is significantly reducing, and the pores between them become bigger and bigger. The reduction of keratin and collagen amount leads to the fact that hair becomes less protected from the aggressive influence of external environment, especially ultraviolet rays. To protect your hair, use a special shampoo to wash your hair with high UV – filters. Once a week, make it a rule to apply a nourishing mask, restoring the structure of your hair. Thus, the hair will be protected from the negative effects of the sun, wind and pollution. With the age, indeed, hair becomes less shiny, loses its bright color. The outer shell of the hair consists of many overlapping small flakes. The hair shine and its beautiful color are provided by the reflection of the light by the outer shell of the hair. When the capillary fiber lacks internal moisture, these flakes rise and reflect the light in a lesser degree or irregularly. Beautiful color and luster of the hair begins with the proper and adequate nutrition. Sufficient presence of essential vitamins, minerals and amino acids in the diet is very important. Such substances increase capillary hair fiber, as well as its growth. Regarding cosmetic products based on silicone, they, of course, provide the softness and shine of hair, but at the same time affect only the outer shell of hair, without solving the root cause of the problem. Furthermore, the prolonged regular use of such means can cause the hair to become even duller. The weakening and increase of hair brittleness is connected with its dehydration, lack of moisture. In this case, well help preparations for hair washing with pro-vitamin B5, which stimulates the oxygen saturation and microcirculation in the tissues, and hence, improves the nutrition of hair follicles. To restore extremely dry, almost dehydrated hair, you can use something as simple as olive oil. Once a week you need to rub olive oil in the hair and massage the scalp. This will significantly improve the condition of your hair; saturate it with moisture and nutrients. With the age also the fact that the hair is susceptible to a greater degree of electrostatic voltage becomes more noticeable. This happens because after 50 years milestone the chemical composition of hair is changing. To avoid electrostatic voltage of your hair and a little bit funny phenomenon of “standing up” hair, try to use a hair dryer as seldom as possible. For the “taming” of hair you can use hair spray, but it is useful once a week to apply a hair mask with collagen. Thus, you will not only take perfect care of your hair, but you’ll practically solve the problem of electrostatic voltage of your hair. This entry was posted in Personal care and tagged daily activities, hair aging, hair care, supplements on September 28, 2015 by admin. With age, certain things that seem usual to us can become really difficult for them: personal care, driving, shopping, cooking and eating. 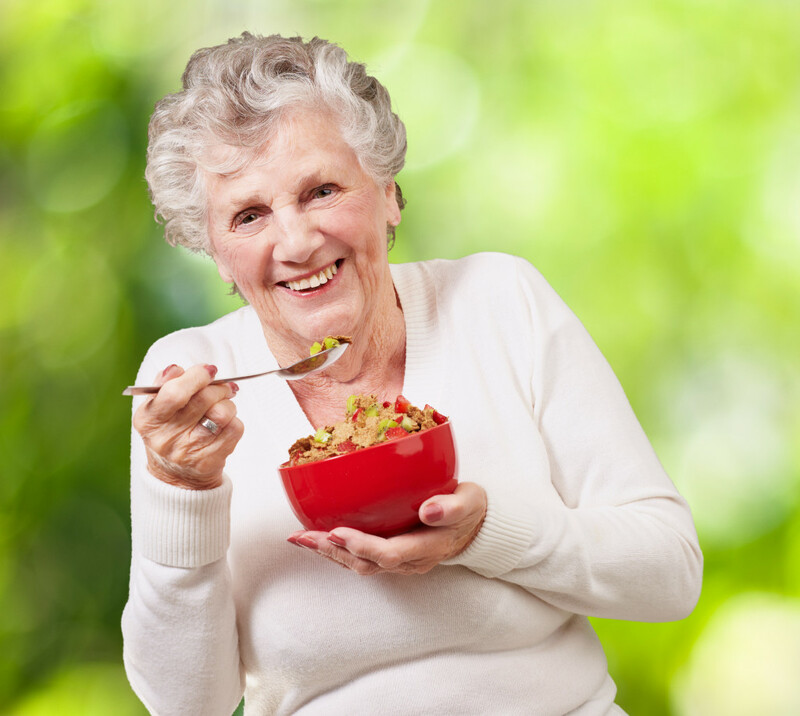 Malnutrition has become a serious problem among seniors that cause a variety of health problems. It is very significant to look for the signs of malnutrition, so you can help you loved ones before serious problems can happen. In many cases malnutrition is a result of difficulties with cooking process, shopping or a matter of forgetfulness. If you’ve noticed the warning signs, you need to consult a doctor and make a special correction plan for food intake. Below is the list of signs that will indicate the problem of poor nutrition. Weight loss is the biggest and the most obvious sign. If you notice that your aging parent or loved one has lost weight, it’s time to check with a doctor, especially if you are not sure, what is the main reason for the weight loss. It is very important during your visits to your loved ones, to check the content of the fridge and the pantry. If you notice that there are not so many products left or there are spoiled items, this might indicate that they do not shop or eat properly. Ask your parent or loved ones about their mobility, about the desire to cook and eat, about their memory. Very often the roots of the problem do not lie on the surface; most often they are hidden inside the person. Malnutrition can be caused by depression and social isolation. The person does not feel needed and important things become insignificant to them. Fatigue is also one of the main signs of improper nutrition. When seniors do not get enough food, their bodies stop functioning normally, these seniors will have dental problems, can bruise easily, etc. 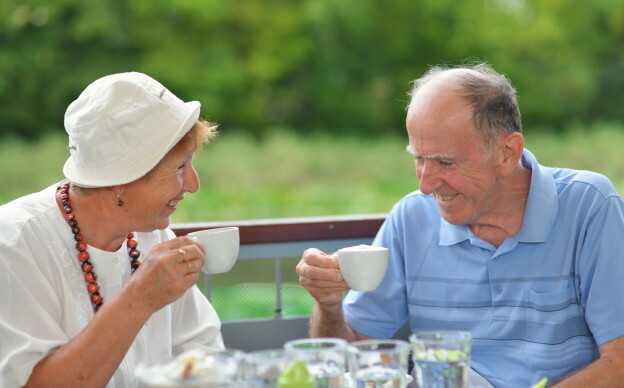 At Day View Adult Family Home we understand and try to meet the needs of seniors. If you have questions about our adult family home or about the topic we’ve discussed, please free to contact us. We are here to help you and your loved ones! This entry was posted in Health and tagged adult family home, aging parents, daily activities, loneliness, nutrition, personal care, social isolation, supplements, weight loss on March 27, 2015 by admin.